I wasn't sure at first if I would, but I found myself drawn into the mind of a meth addict. The whole novel has a stream-of-consciousness feel to it, even though Laurel doesn't actually start talking about the present until the last chapters. 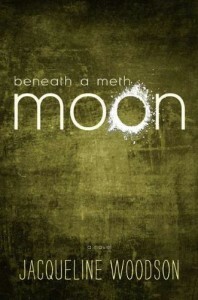 She talks a lot about getting high, her incessant need for meth, what she calls "moon". I've never heard of meth referred to this way before, but I read it as Laurel's way of saying meth, for her, induced kind of a dream-like state. The only thing I didn't like was the use of italics instead of quotation marks to show when someone is talking. It wasn't enough to detract from the story, but it was distracting at first. Overall, a good, quick read.